The low noise coolers of OSCA / OSCAF series mostly serve in small and medium hydraulic systems. Firstly, compact and efficient, they offer high performance with a low noise level in a modular design. On one hand, the OSCA models with integrated oil circulation pump provide efficient offline cooling of the hydraulic fluid. On the other hand, the OSCAF models with integrated (inside / outside) filter provide additional filtration. Indeed, the OSCAF is using the latest high capacity filter dirt holding development. What’s more, installed off-line, the OSCAF provides efficient cooling and filtration of the hydraulic fluid regardless of the duty cycle of the hydraulic system. 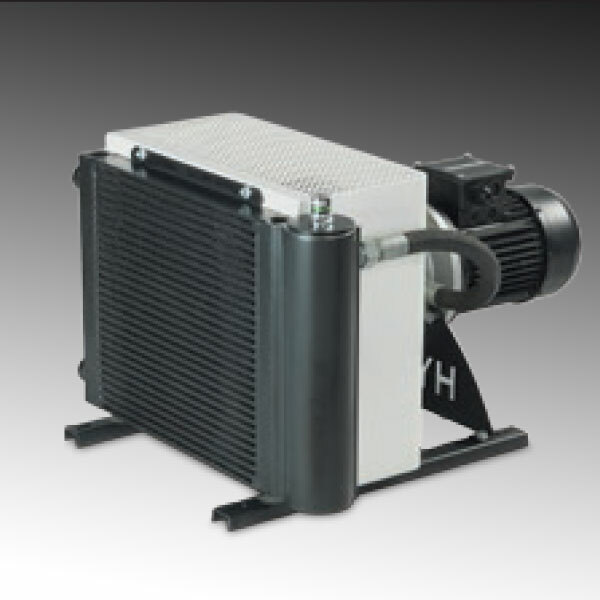 Plus, the cooler can be sized perfectly to the necessary cooling performance, rather than to the maximum return-line flow rate. So, the off-line installation will also eliminate flow variances of the hydraulic fluid. It will also eliminate the resulting pressure spikes which potentially could lead to a premature cooler failure.